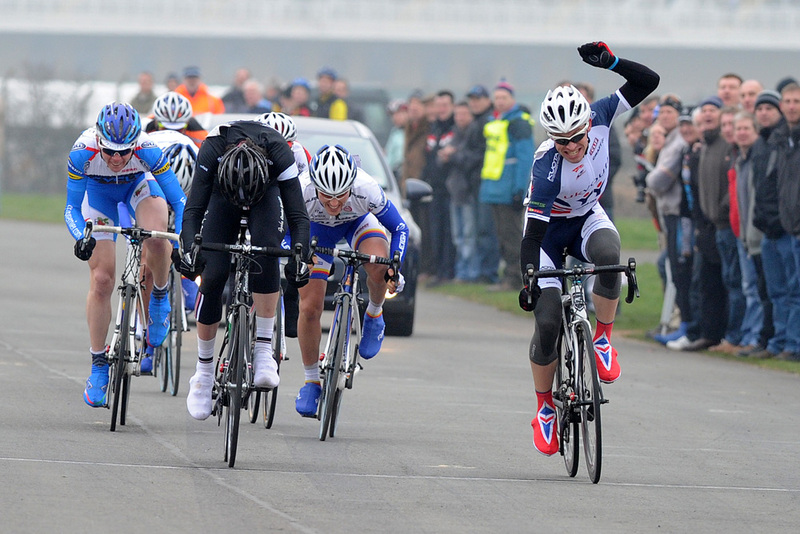 A full field of 250 riders will start tomorrow’s Eddie Soens Memorial Handicap race at the Aintree Racecourse. The 50-mile (30-lap) race will be fought out by riders from elite down to junior categories, with riders from Britain’s six UCI-registered teams all scheduled to start. Last year’s winner James Stewart (UK Youth) is not riding, nor are Andy Tennant (Rapha-Condor-Sharp) and Matt Kipling (now Velo29), who completed the podium. Four-time winner Tony Gibb (Metaltek-Scott) has a strong squad surrounding him, while the 7-man British Cycling Olympic Academy team 100% ME could be the team to beat; Tour de l’Avenir stage winner Simon Yates came second here in 2010 when junior riders locked-out the podium. Women, Youth A, Junior 3/4 and 4th cat riders will set off first at 9.30am, followed by the 3rd cat and Junior 1/2 group a minute later. The Elite peloton begin at 9.34am. Endura Racing will kick off their domestic campaign at tomorrow’s Eddie Soens Memorial, in what promises to be a busy weekend for the team. Those competing in Soens will rush off to Dover following the conclusion of the race, and will spend the night in Calais before competing in the GP de la Ville de Lillers (UCI-ranked 1.2) on Sunday. Elsewhere, Spanish DS Alex Sans Vega will manage a strong team led by Jon Tiernan-Locke at the two-day Tour of Murcia. Speaking to Cycling Weekly, Endura’s general manager Brian Smith said: “After mainly racing abroad so far this year, the Eddie Soens is a good chance for our fans to come and see us in action on home soil,” he said. Originally scheduled to ride the Severn Bridge road race on Sunday, Smith said that the offer to race in France instead was too good to turn down. “It’s crucial for an ambitious team like us to pick up as many UCI points as possible,” he added. In regards to Murcia, Smith said that the focus will be on helping Tiernan-Locke produce another noteworthy performance. “It’s a good race, and we’re sending a strong team there to support Jon 100%. Endura Racing line-up for Eddie Soens Memorial (March 3) and GP de la Ville de Lillers (March 4): Jack Anderson, Ian Bibby, Alexandre Blain*, Russell Downing, Jonny McEvoy, Rob Partridge, Scott Thwaites, Ian Wilkinson. Endura Racing line-up for Vuelta Ciclista a Murcia (March 3-4): Iker Camano, Zak Dempster, Rene Mandri, Erick Rowsell, Jon Tiernan-Locke, Paul Voss, Alexander Wetterhall. 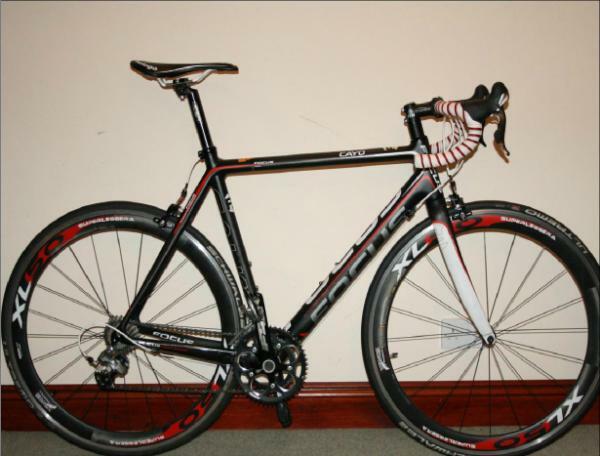 A Focus Cayo bike – complete with junior gears – was stolen from Hog Hill Racing Circuit on Saturday afternoon. The theft happened between 4.50-5.05pm following the conclusion of that day’s racing. If you know anything about its whereabouts, contact the Cambridge Triathlon Club via their website.